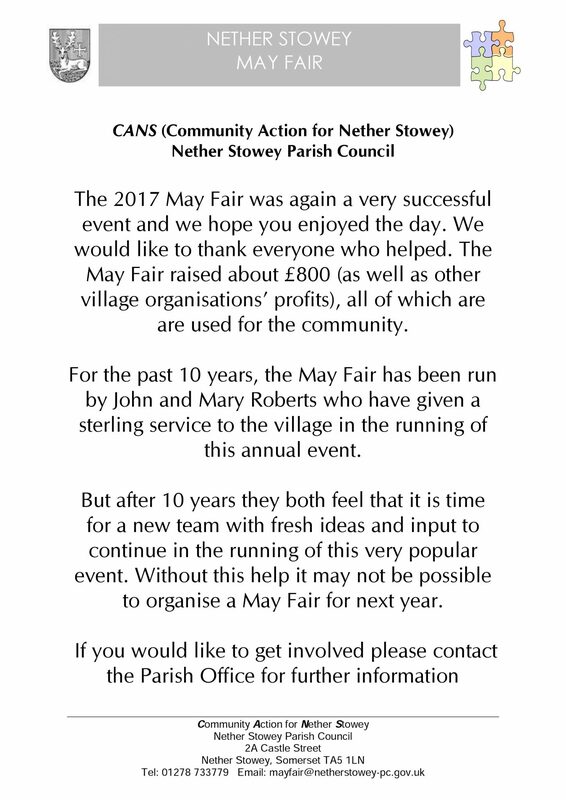 The next Nether Stowey May Fair will be held on Saturday 29 April 2017. The Nether Stowey May Fair has been held annually since 2008 and takes place on the Saturday before the May Day public holiday (so usually the first Saturday of May, but not always). 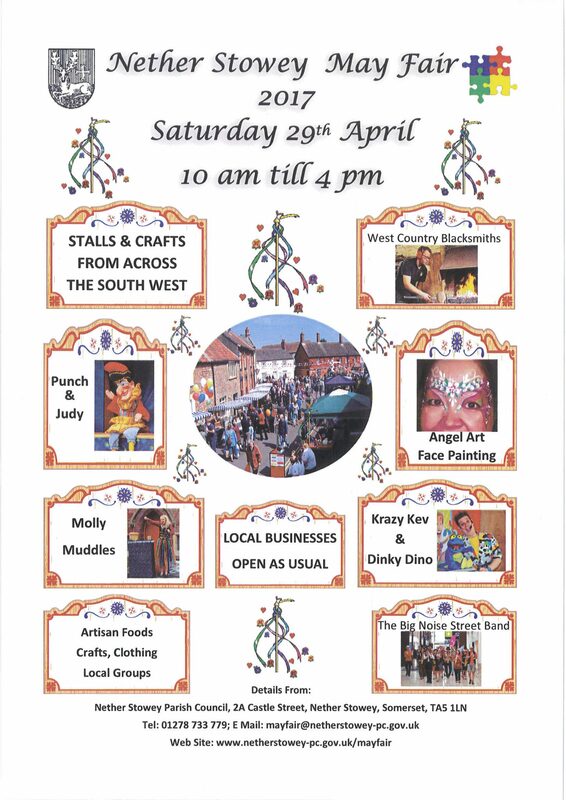 Nether Stowey May Fair is a very popular event attracting large numbers of crowds each year to shop at the wide variety of stalls, eat and taste good food and drink from many local artisan producers and enjoy the various entertainment on offer. This year is bigger than ever with over 70 stalls. The Cross and the Clock Tower are the centre of activities with the May Fair radiating from The Cross filling the three main streets, Castle Street, Lime Street and St Mary Street. 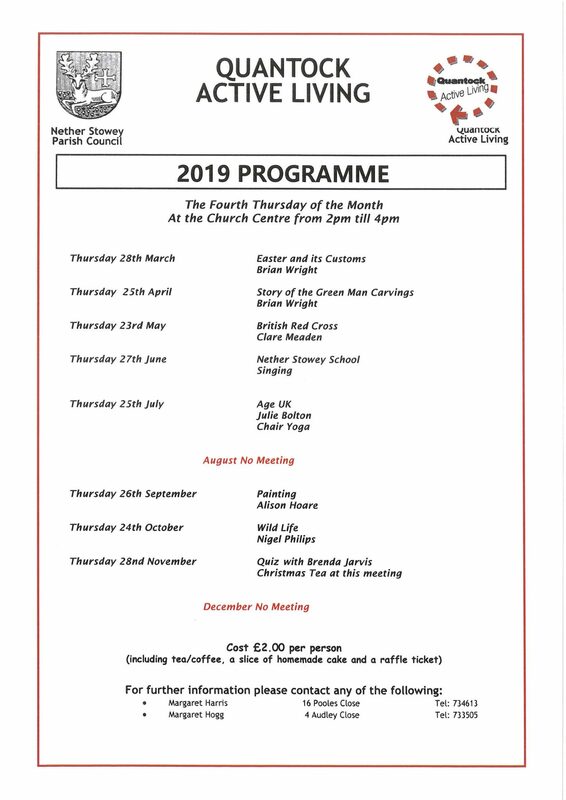 Throughout the day there are various entertainments on The Cross, such as Punch and Judy, Molly Muddles, Krazy Kev for children and and the Big Noise Street Band and the Quantock Musical Theatre Company. Have a look at our Gallery of pictures below. Stall holders and exhibitors from across the South West take part selling a variety of goods including crafts, plants, and bric-a-brac as well as artisan food and drink producers. A list of entertainers and stalls will be available here nearer the time, so do come back.